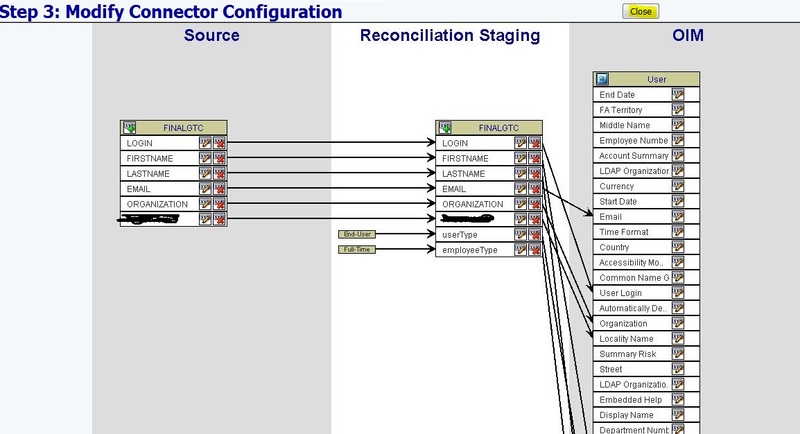 In this lab we are going to reconcile users from oracle database. Please see below the steps for the same. Note: Here assumption is that you know the basic sql queries syntax. 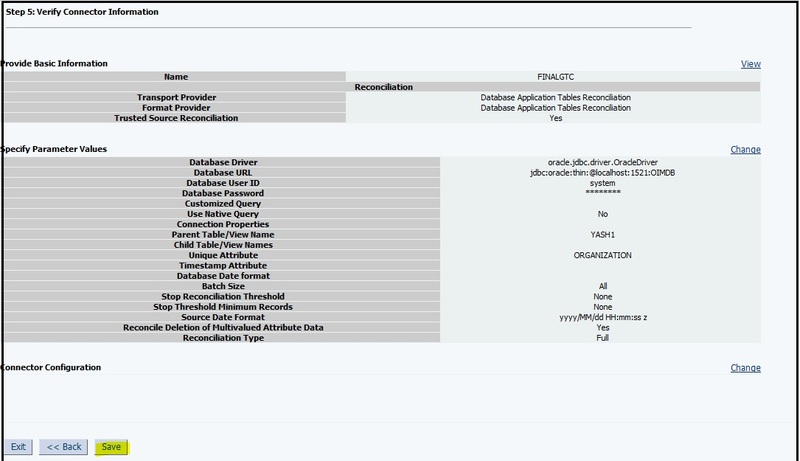 1) Login to sqlplus with user having sysdba privileges to create tables and users in database. 2) Create table with command as shown in following figure. Give the table name as per your choice. 3) It will show you message as table created. 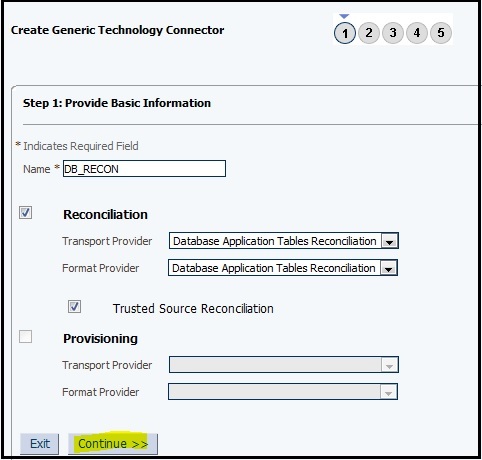 Once table is created it time to insert record into it. Please run the below command to insert row into table as shown in figure. 4) Login to oim console using "http://<host_name>:<port_no>/sysadmin" and provide the required username and password. 5) Click on Generic Connector under Configuration. 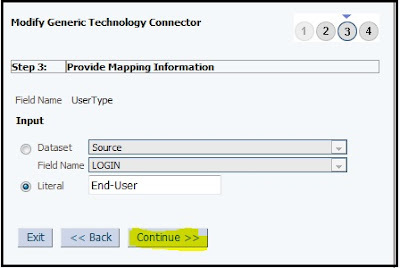 6) Click on create button as shown in figure below. 7) Fill the details as shown in figure below. You can give the name as per your choice. Click continue. 9) On the next screen create the mapping as shown in figure below. 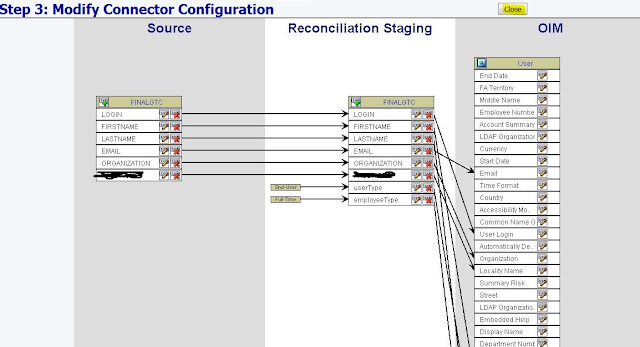 10) As you can see fro the figure in the Reconciliation Staging we have created two additional fields. userType and employeeType with value as End-User and Full-Time respectively. 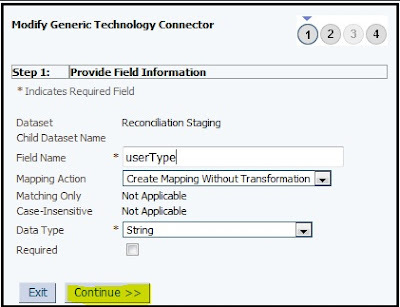 The procedure for creating this fields is given below. 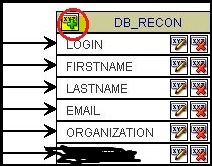 a) Click on plus icon as shown in figure below. b) Fill the information as shown in figure below and click continue. c) Provide the information as shown in figure below and click continue. d) At last click close. repeat the same procedure to create employeeType field. Once all the mapping is done click close. 11) On the next screen verify the parameter you have provided and click save as shown in figure below. 12) At last close the window. 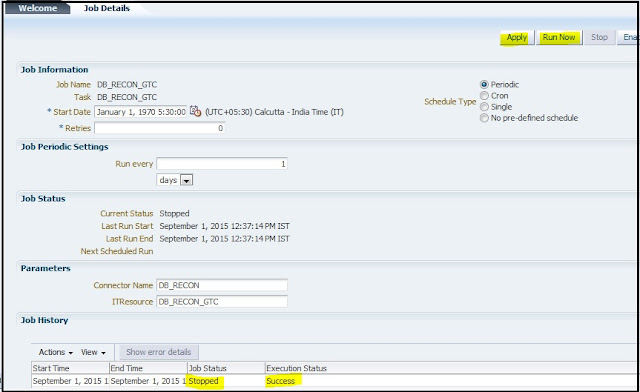 13) Go to oim console, click on scheduler under System Management and search for the scheduler we have created. The scheduler name will be the name you have given in step 7 followed by_GTC. 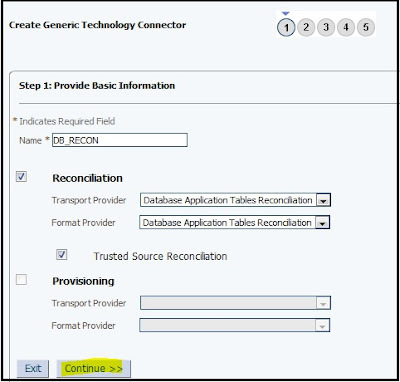 In this case it is DB_RECON_GTC as shown in figure below. 14) Click on Run Now and then Apply. 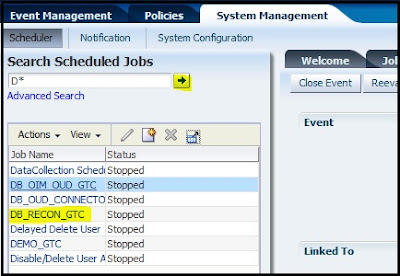 Make sure Job Status should Stopped and Execution status should Success as shown in figure below. 15) Login to oim using "http://<host_name>:<port_name>/oim" and provide the username and password. 16) Click on Users under Administration. A new window will open at right side. 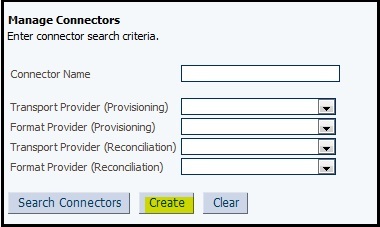 Search for the user we have created in database it must be present there as shown in figure below. 17) In this way we have perform the reconciliation of users from database to oim.